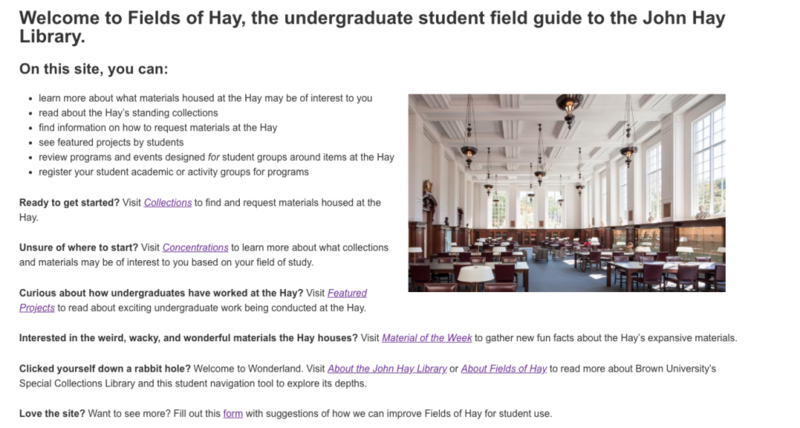 A student-driven project led by undergraduate Shira Buchsbaum ’19, the recently launched website Fields of Hay offers students a guide for making use of the John Hay Library and Brown’s special collections resources. My journey to the John Hay Library was meandering and inconsistent. My first semester at Brown, my writing professor, Kate Schapira, assigned a piece that required drawing from any archive in Brown’s libraries. I picked the Mary Elizabeth Sharpe collection, which ended up being 20 boxes of letters, blueprints, photographs, contracts, and designs from Sharpe’s life. Mary Elizabeth Sharpe was married to Henry Dexter Sharpe, the Chancellor of Brown from 1932-1952, and she was a go-getter. Sharpe designed much of the landscaping on campus, including for the then-new Sharpe Refectory and, later, the Sciences Library. She was a critical player in establishing India Point Park and fighting oil money in Providence. I learned all of this about Sharpe in a few afternoons at the Hay, sitting with her papers and imagining the fierceness of this lady who took meticulous notes about trellises and leaf piles on our campus greens. I kept Mary Elizabeth Sharpe in the back of my head throughout my first two years at Brown, marking the John Hay Library as the place where I learned about our highly manicured campus and the woman behind it. 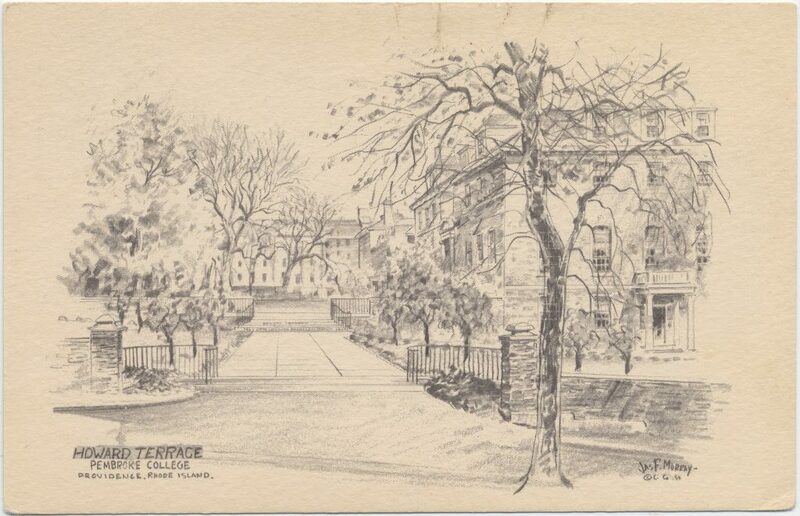 “Howard terrace, Pembroke College, Providence, R.I.” (1960). Landscaping directed by Mary Elizabeth Sharpe. Images of Brown. 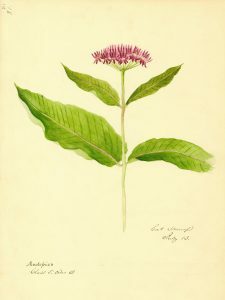 Brown Digital Repository. 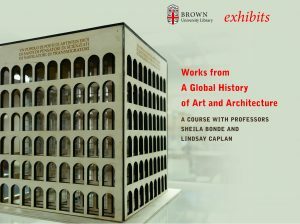 Brown University Library. 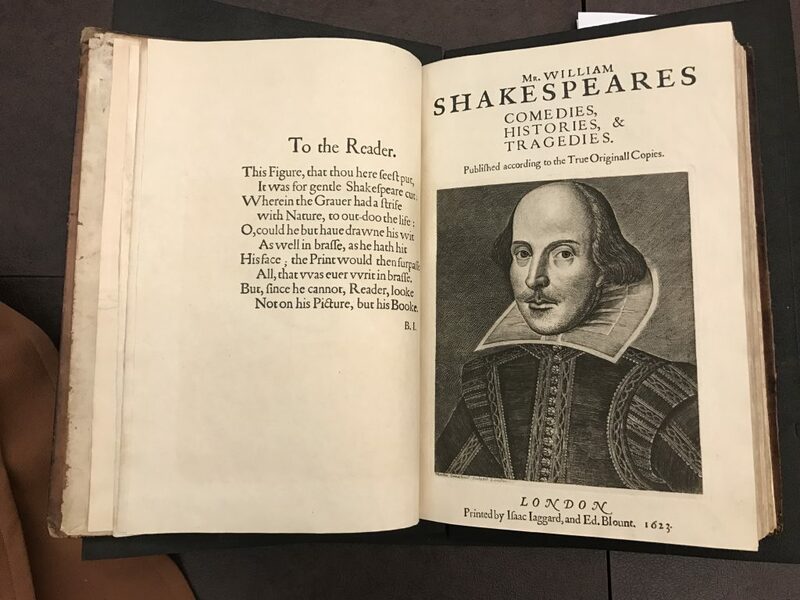 My junior fall, I stumbled back into the building during a reception and met William Shakespeare’s first Folio on the second floor of the John Hay Library. 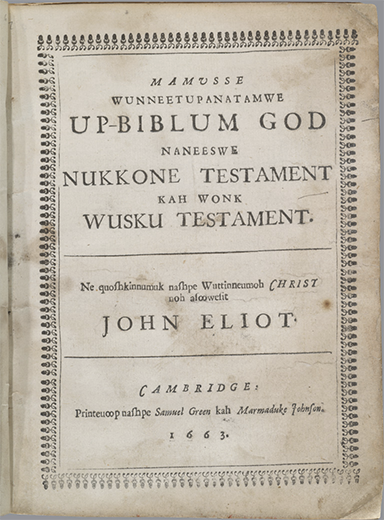 Brought to tears as I turned the pages of this nearly 400-year-old volume, I asked the lady behind the table, “Do students, like, work here?” The serendipity of that moment landed me in the midst of archives and collections once again, this time as a collections assistant. John Hay Library’s copy of Shakespeare’s first Folio. Photo by Shira Buchsbaum. In our first conversation, Heather Cole, my new boss, and I discussed creating a guide for undergraduates to access the John Hay Library with more ease. I spent the next 18 months chatting with curators, requesting materials, conducting research, and honing how to convey the richness and variety of the materials here and their availability for student scholarship. 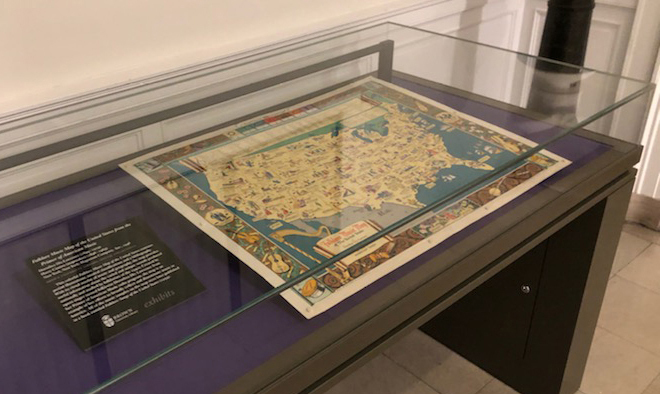 On March 7, 2019, World Book Day, we launched Fields of Hay, the undergraduate research guide to the John Hay Library. 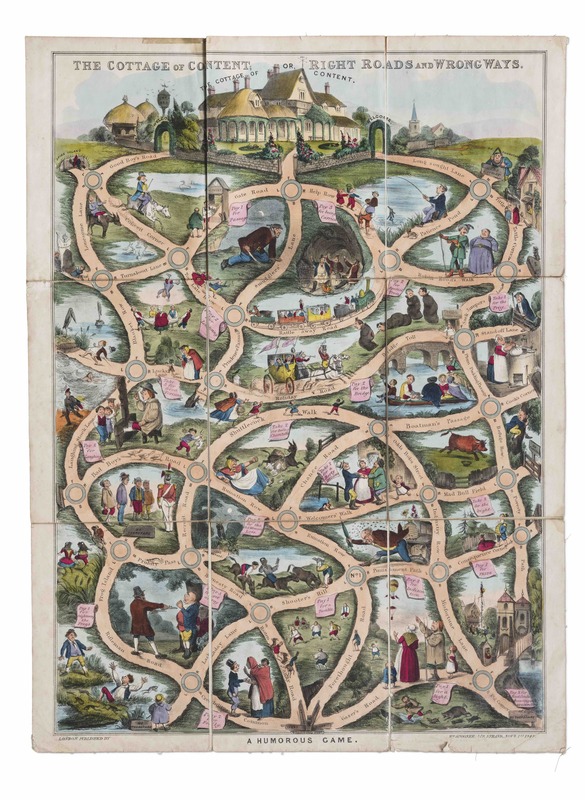 On Fields of Hay, students can learn about materials housed at the Hay, read about standing collections, find information on how to request materials, see featured projects by other students, and register student academic or activity groups for programs at the Hay. Fields of Hay aims to demystify the Hay by demonstrating its accessibility and breadth of materials to all students. It also seeks to promote student scholarship by showing that working with primary resources need not be an elite, selective process: it is as simple as finding one compelling item and spending time with it. The website aims to transform haphazard, wayward discoveries of the Hay into a far-reaching, common experience for Brown students. Fields of Hay is home base. I wish I hadn’t treated my interaction with Mary Elizabeth Sharpe as a one-off experience designed for a single class with no lasting implications on my life at Brown. Had I been able to return to the Hay through mechanisms designed for me – through a website that clarified how I could ingratiate myself with these materials – I would have returned sooner. As soon as students arrive at Brown, Fields of Hay can guide them to original, exciting research, or simply enjoying items connected to their interests – no strings or requirements or assignments necessary. Come on in and get started. Shira Buchsbaum ’19 studied Anthropology and English Non-Fiction Writing and was the primary creator of Fields of Hay, under the advisor-ship of Heather Cole. 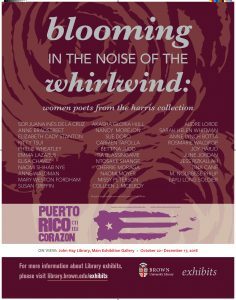 She wrote her senior thesis about curatorial decision-making for the Harris Collection of American Poetry and Plays as reflective of changing conceptions of American literature. Any inquiries about Fields of Hay and materials or programming at the Hay can be sent to shira_buchsbaum@brown.edu. 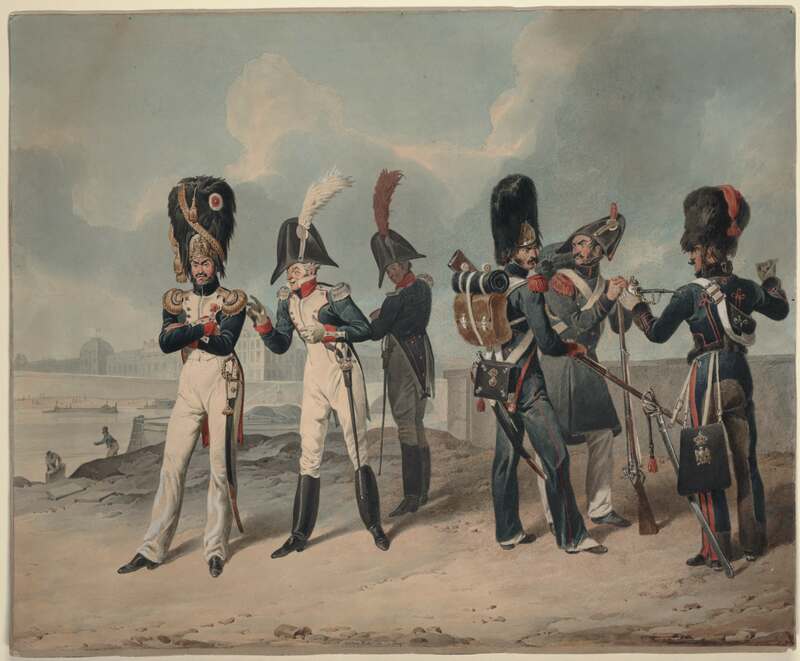 UK-based nonprofit organization The Watercolour World has added 93 items from the Brown University Library’s Anne S. K. Brown Military Collection to its online exhibition website, a free database of documentary watercolors painted before 1900. Visit The Watercolour World and see the works from the Anne S. K. Brown Military Collection. The Library is pleased to have provided access to our digital archive of material in the Military Collection, which numbers more than 25,000 items. 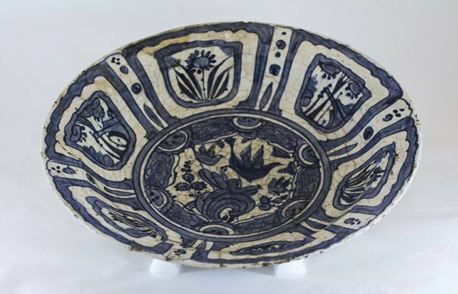 Through partnerships such as this, we are able to share the unique treasures in our collections with scholars and patrons around the world.